Josh Taylor has picked up another top award – the British Boxing Board of Control’s boxer of the year. The 27-year-old fended off competition from the likes of world heavyweight champion Anthony Joshua, George Groves and Billy Joe Saunders at a glitzy awards dinner in London. 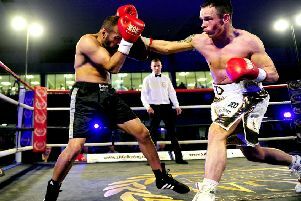 The Prestonpans puncher registered the biggest triumph of his professional career in June with a unanimous but hard-fought win over former world lightweight champion, Ukrainian, Viktor Postol. Undefeated Taylor (13-0), the WBC Silver super-lightweight champion, is training hard for his World Boxing Super Series quarter-final showdown with American Ryan Martin (22-0) at the SSE Hydro on Saturday, November 3. 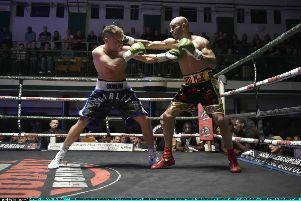 Should the Tartan Tornado prevail in Glasgow, he will progress to the semi-finals and will be just two wins shy of lifting the Muhammad Ali trophy and becoming world champion.